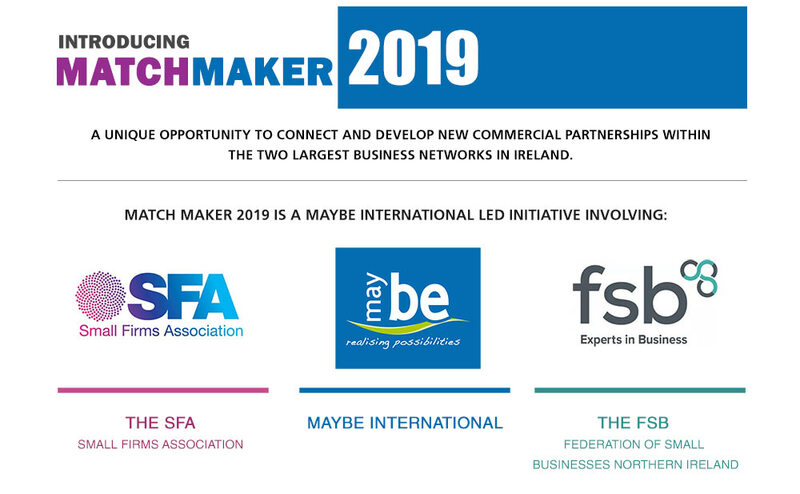 Match Maker 2019 | Maybe International Creative Consultancy Ltd.
A unique opportunity to connect and develop new commercial partnerships within the two largest business networks in Ireland. Match Maker is all about connecting the right companies North and South to ensure meaningful partnerships. Events will be planned throughout the year. To establish if you qualify for Match Maker 2019 please register your interest and a member of our team will arrange a call with you to discuss Match Maker and your company suitability.